Jeremy Corbyn, the leader of the United Kingdom’s Labour party, said he was wrong to support in 2012 an artist who had painted a mural in London that Corbyn is now calling anti-Semitic. 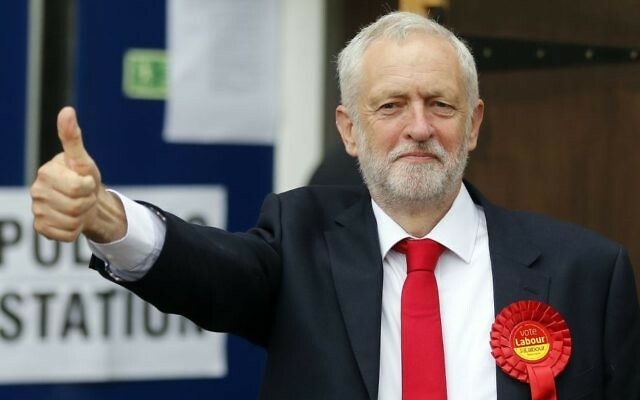 Corbyn, whose critics say has failed to confront the proliferation of anti-Semitism in the party in his supporters’ ranks since he became its leader in 2015, said in a statement Friday: “I sincerely regret that I did not look more closely at the image” in question when he defended the artist’s artistic freedom in 2012. 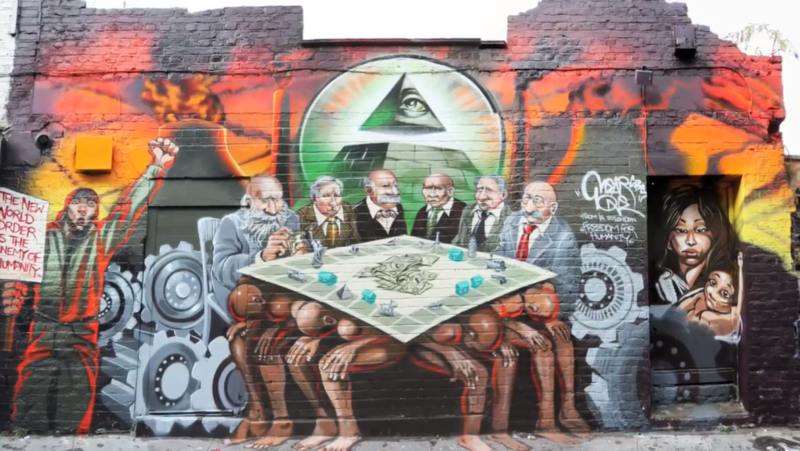 The mural, titled Freedom for Humanity, depicts a group of businessmen and bankers, some of them Jewish, counting money around a Monopoly-style board balanced on the backs of men with dark complexions. 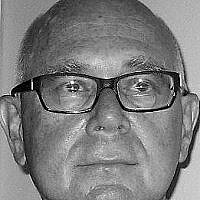 While Corbyn has been accused many times of failing to act against anti-Semitism and especially in connection to hatred of Israel, the case of the mural is unusual in that it does not concern the Jewish state and in it, Corbyn personally condoned what he later acknowledged to be racist propaganda. 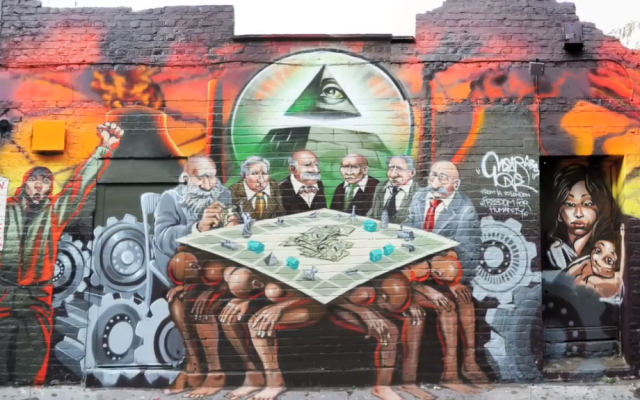 The Los Angeles-based artist who painted the mural, Kalen Ockerman, had acknowledged in 2012 that some of the bankers were Jewish but said on Facebook the mural was not anti-Semitic. In his statement, Corbyn wrote he referred in 2012 to “the destruction of the mural ‘Man at the Crossroads’ by Diego Rivera on the Rockefeller Center.” That mural “is no no way comparable” with the one made by Ockerman, Corbyn added. Earlier this month, Corbyn was found to have been a member of a private Facebook group for two years until 2015 that featured many anti-Semitic statements. He said he had not read any of those statements. Corbyn called Hezbollah and Hamas his friends in 2009 and said it was an honor to host representatives from those terrorist groups in parliament. In 2016 he said he regrets saying that. He has vowed to kick out any Labour member caught making racist or anti-Semitic statements. Dozens were expelled but many others accused of these actions were allowed to stay or were readmitted. British Jews and an interparliamentary committee of inquiry have dismissed as unsatisfactory an internal Labour audit that largely cleared the party of anti-Semitism allegations. 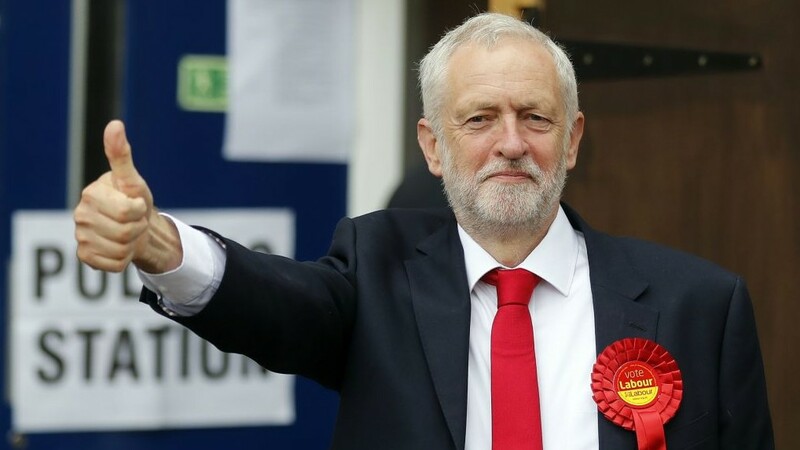 Many Labour critics trace the party’s anti-Semitism problem to thousands of members joining from Corbyn’s hard-left Momentum group.